On the border with the occupied Crimea, servicemen of the State Border Service of Ukraine practice accuracy of shooting, medical assistance, tactics of protection and defense. 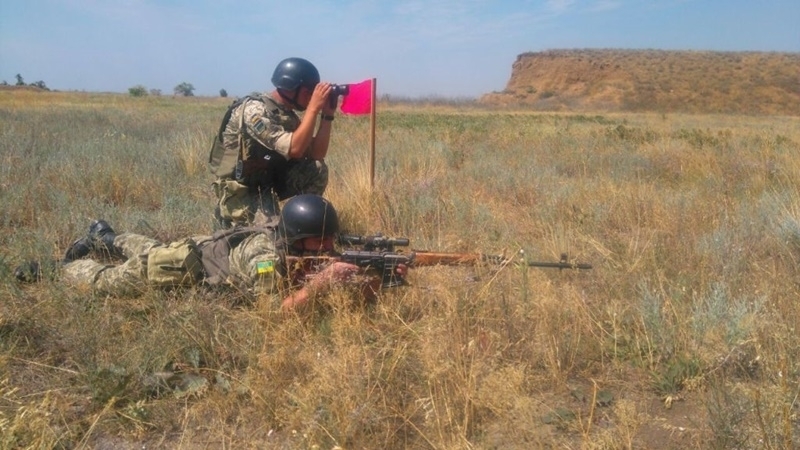 The personnel of the operational-combat border Commandant Services is conducting drills in the Genichesky district (Kherson region), the State Border Service of Ukraine informs. Military exercises are conducted to improve their skills, in particular, in the performance of firing from various weapons. SBSU fighters deployed to the battle formation from the march and took a certain area under protection and defense. And during the movement of the column, a check of the military patrol was carried out by means of training in mine planting explosive device on the route of its movement. Another component of the exercise was practicing of tactical medicine elements. Earlier, on June 30, the border guards of the Kherson detachment together with the servicemen of the Armed Forces of Ukraine in the Kherson region detained two officers of the FSB of the Russian Federation.